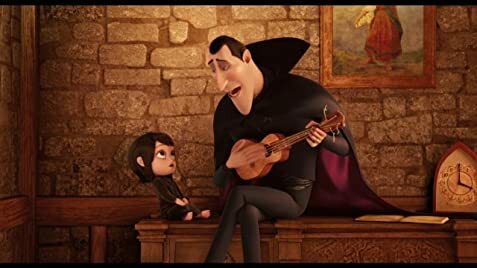 After reading reviews that either disliked or were indifferent to Hotel Transylvania and being dubious because Adam Sandler(who has been in a lot of really bad movies recently) was in the lead role, I was unsure of whether to see the film. But my love for animation and the appetising trailer over-rode my doubts and I saw it anyway. 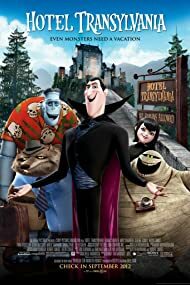 And you know what, while The Pirates and ParaNorman were better animated movies from this year in my opinion I found Hotel Transylvania much better than expected. 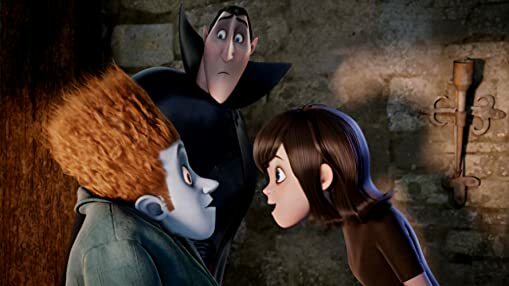 More could have been done with the relationship between Jonathan and Mavis, it is a romantic angle that has been used many times before and as well as feeling somewhat under-baked very little new was done with it. While a vast majority of the film is fast-paced with no real dull spots, some parts of the film did feel rushed. On the other point of view, the animation is excellent, the backgrounds are both beautiful and Gothic and that is the same with the colours. The characters are well-modelled. The soundtrack is catchy and upbeat, though some of the songs could have been more than just snippets. The writing is zany and often witty with a surprising amount of heart also. The Wolf Man and his wife are named Wayne and Wanda. Coincidentally, these are also the names of a singing duo who appeared in the first season of The Muppet Show (1976). CeeLo Green (voice of the Mummy) recorded a Christmas song and accompanying video with the Muppets the same year that this movie was released. Dracula is unable to hypnotize Johnny who wears <1mm thin plastic contact lenses but successfully hypnotizes a plane pilot through a 15 mm thick reinforced, insulated and coated compound plastic and glass cockpit window. The primary closing credits are presented by cartoon versions of the movie's characters.